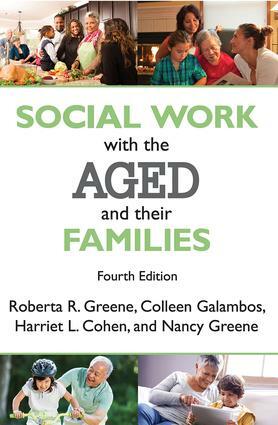 Social Work with the Aged and Their Families presents the functional-age model (FAM) of intergenerational treatment, an integrative theoretical framework for social workers practicing with older adults and their families. In keeping with the Council on Social Work Education's curriculum mandate of 2015, social workers are now encouraged to use human behaviour theories in working with their geriatric clients. This fourth edition incorporates much-needed additional techniques to address the mental health assessments of the elderly. FAM addresses the assessment of older adults' biological, psychological, socio-cultural, and spiritual age. It also incorporates an evaluation of the family system, family roles, and family development in this assessment. Interventions at the individual, family, group, and community levels are discussed. This volume, augmented with recent concepts related to successful aging, spirituality, and resiliency, presents the major converging conceptual trends that constitute a model for twenty-first century social work practice in the field of aging. It is an indispensable text for those training in social work practice with the elderly, or those currently in practice.